The former governor of Bayelsa State, Timipre Sylva yesterday had his house burgled in the Okpoama Brass Local Area of the state. The building which is built facing the Okpoama Beach was said to have been invaded by unknown persons who reportedly accessed the facility through a security post. Sources say no money was stolen from the house but the Close Circuit Television (CCTV) was vandalized for reasons yet unknown. “We don’t know why the burglars were only interested in the CCTV. They removed the monitor and the TV,” said a security sources who preferred not to be named. 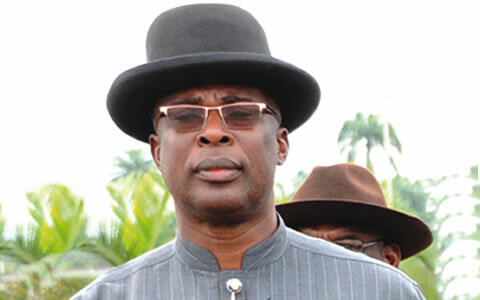 Sylva has been undergoing trial over alleged N2bn fraud by the Economic and Financial Crimes Commission (EFCC) since he was ousted as the governor of the state by a judgement delivered by the Supreme Court. Leadership gathered that the police arrested three guards employed to watch over the house shortly after the burglary. But the guards were said to have claimed that they were not on duty when the thieves broke into the house.